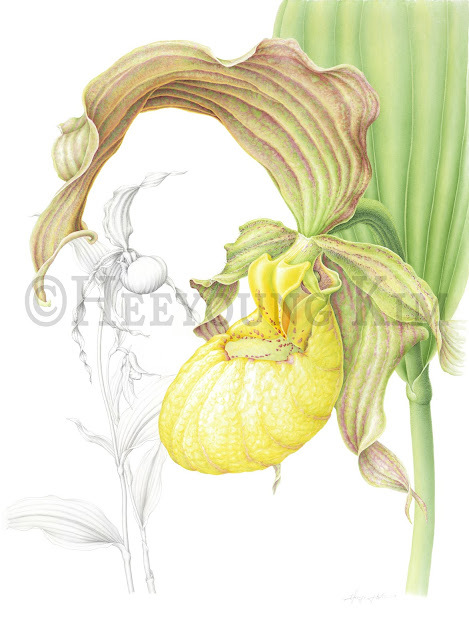 As most of you know, I have been drawing and painting native plants of prairies and woodlands for many years. At this point when more plants disappear faster (:( ) and I am getting older (:0), I am trying to make my documentation plan clearer and finish it in my life time. "Project 200: Botanical Documentation of Tallgrass prairie" is my first plan. I will paint 200 plants first, then another 200, when the first part is finished. To accomplish this huge task, I need to get funded. So I launched Indiegogo Campaign! Please, allow your time to take a look at it, and support this project! Spread the words generously, please! Please, let your friends share it, too! I am sure this botanical art collection of Midwest native plants would be valuable as a scientific and educational tool, as well as an art collection, IF it could ever be finished. Your support will help this project continued! No obligation for contribution! Repost it on Facebook, Twitter, or share it with Google + circle... That will bring this campaign closer to home screen at Indiegogo website. (That is their operating system.) So my campaign can get better exposure, which will help to achieve my goal.